Center 337 is our light meterith the sensor on the top of tester, this meter can easily operate with single hand. Our light meter CENTER 337 can be used in working environmental check, illumination design verification and other light monitoring applications. If the users turn on this unit with the cap on, it will zero the reading automatically. 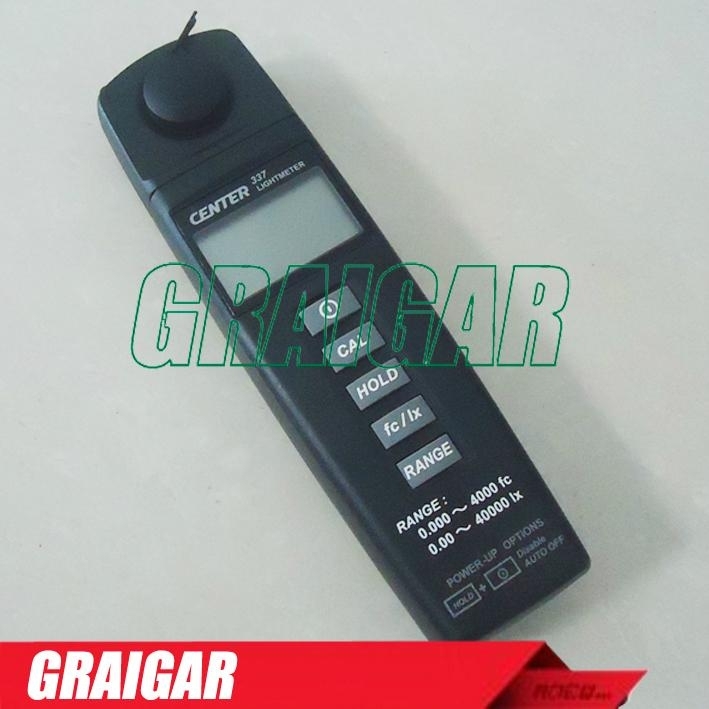 With the sensor on the top of tester, this meter can easily operate with single hand. The sensor is compensated with filter to make the response close to human eyes. The light source angle is also compensated according to its cosine function.